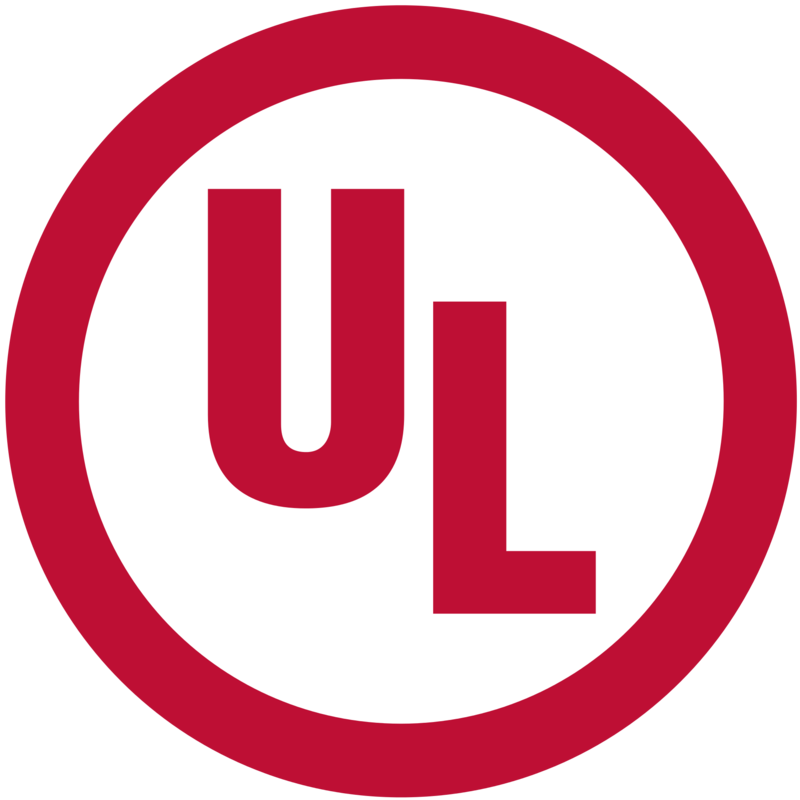 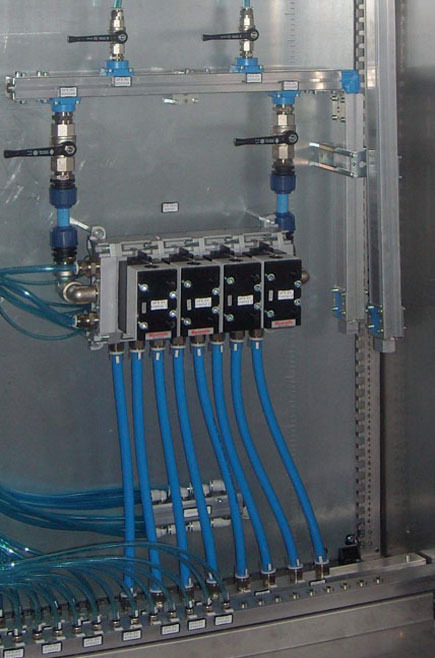 A completely integrated automation system also involves instrumentation and process valve management. 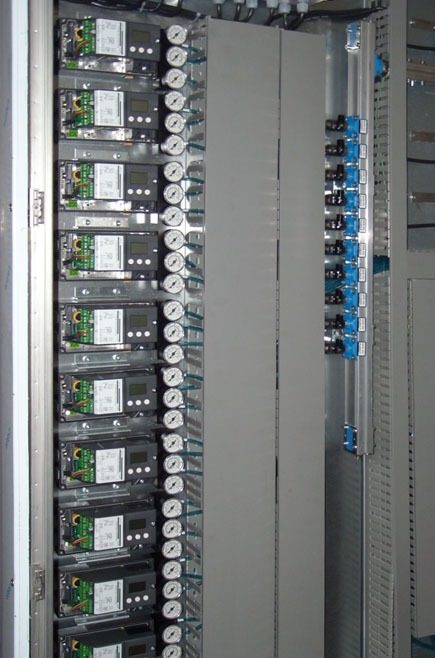 SEEI therefore designs and manufactures pneumatic panels for controlling ON-OFF and control valves. 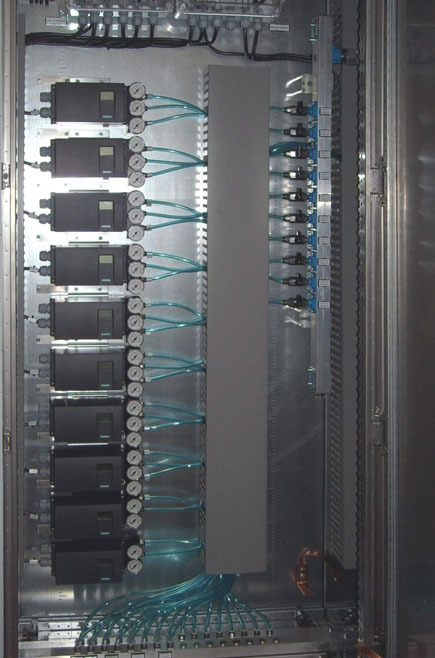 These panels are custom-built to the customer's specifications, depending on the type of pneumatic control required: the actuation of the ON-OFF valves can in fact be achieved through cable-controlled electro valves or via Fieldbus. 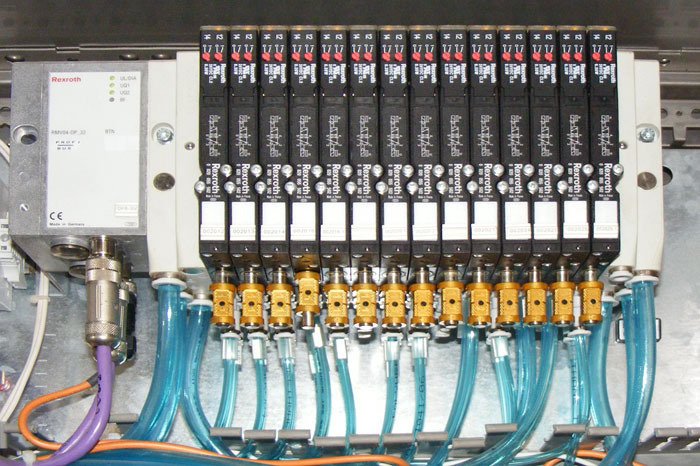 Similarly, proportional valves can be controlled by 4.20mA or Fieldbus positioners, installed on the valve itself or remotely in the pneumatic panel.